Size: 12.19 x 9.92 mm. 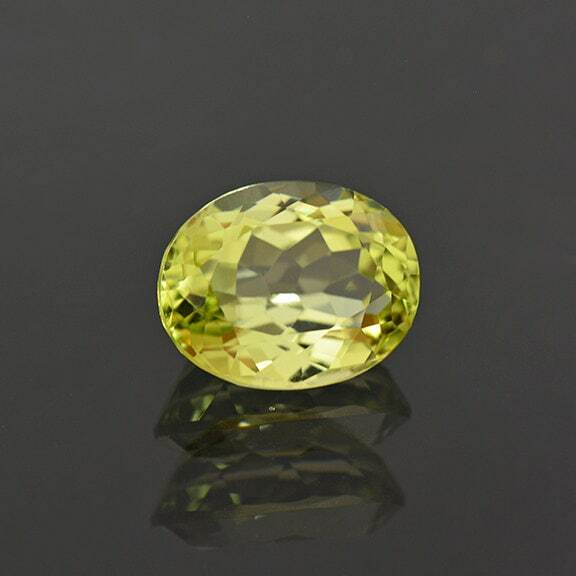 Sillimanite is related to Andalusite and Kyanite, and all 3 are considered difficult to facet. Sillimanite was considered the most difficult mineral to facet at one time because of the fibrous formation. 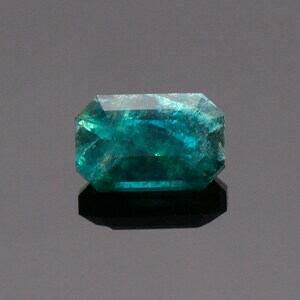 That was until the large clean gem sections were found in India. 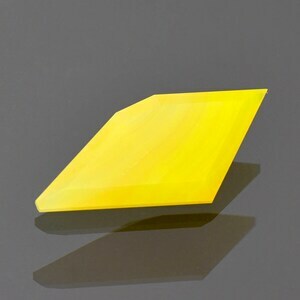 The Indian material is the best quality Sillimanite in the world, particularly for it’s clarity. 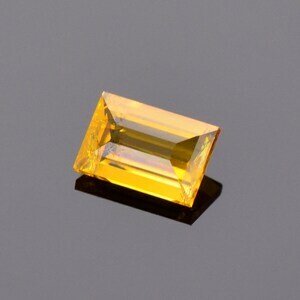 Sillimanite is a rare gemstone and there are not many available on the market at any given time. 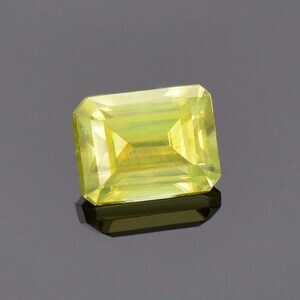 This stone is quite beautiful, and has an attractive yellow-green color. 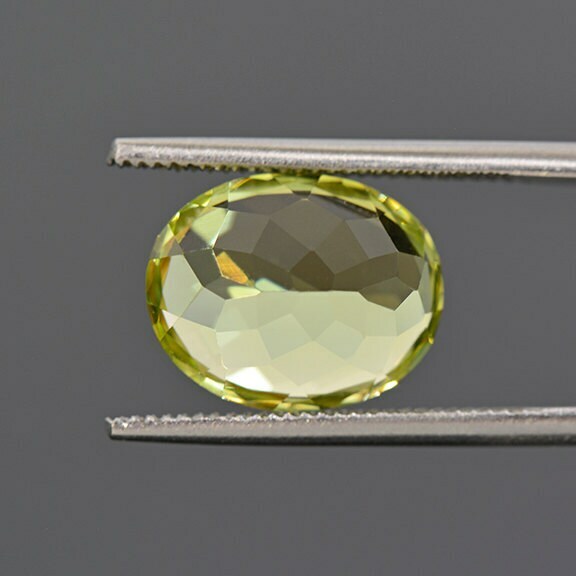 This gem is exceptionally clean and glitters beautifully in the hand. 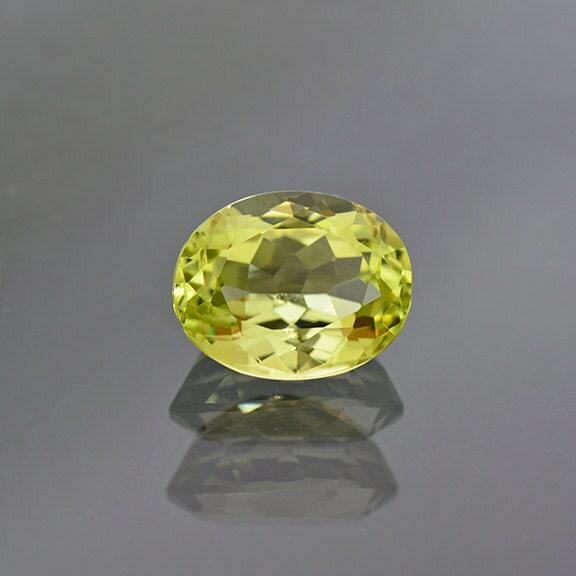 Don’t miss out on this fantastic collector’s gemstone! 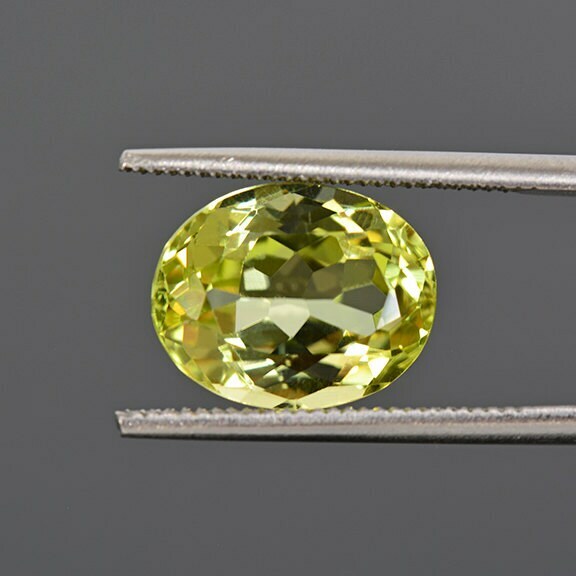 Gorgeous Yellow Green Sphene Titanite Gemstone from Zimbabwe, 1.39 cts., 6.7 x 5.3 mm., Emerald Shape.